50 Cent recently appeared on stage at the Mix Show Live 2013 and called Meek Mill to join him, after they greeted each other 50 Cent spotted his former G-Unit affiliate Trav and made it clear that he didn’t want him on stage. A small altercation ensued before Meek Mill stepped between them to break up a potential sticky situation. Check out the footage above and Meek’s reaction on twitter below. Don’t involve me wit trav and 50 words they had on stage they got they own relationship! Trav likes everything presidential in his latest video. He is joined by Jim Jones and Lloyd Banks. Jim Jones and Trav add a video to their “No Church In The Wild” freestyle. Seems like Jimmy‘s show, Love & Hip-Hop, hasn’t got in his way. With wifey issues, mom issues, and trust issues (haha), I am sure the audience can understand your struggles Jim. But all jokes aside, Jones brings some new music to the table and it’s pretty dope. 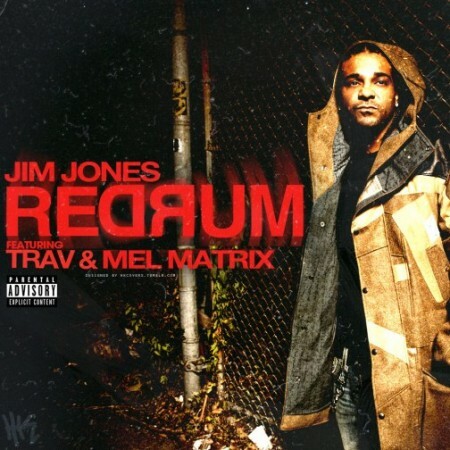 The record brings along two features by the name of Mel Matrix & Trav. Check it out.